Happy recipient. Flowers were delivered on time and accurately. 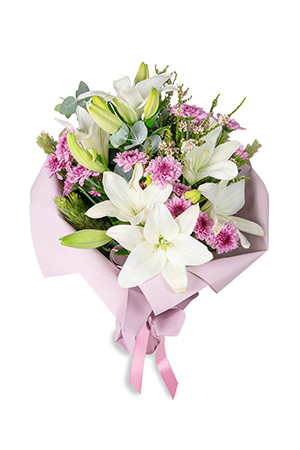 I had no idea how to send flowers to a friend in West Virginia from here in New Zealand so it was a stab in the dark. However, all went well and the flowers were delivered when you said they would be. Thank you. Easy to navigate website, one stop shop with a wonderful selection. The flowers were beautiful according to my Mum and delivered without fuss. Thank you. Will definitely be using you again whether local or overseas. no hassle, delivered on time & receiver always sounds pleased.... so good on you guys! The most stunning bunch of flowers was delivered within 2 hours of ordering! So very happy, thankyou for helping me cheer my bestie up. Will definitely use you again.